A great way to explore Hawai‘i Island is by bike. CYCLE STATION offers bike tours and rentals around the island. Their guides will cycle you through the Big Island’s history, culture, flora and fauna on educational, fun cycling tours. Cycle Station also offers state-of-the-art rental bikes (comfort bikes, road bikes, triathlon bikes, kids’ bikes), so you can choose the bike that’s right for you— and pedal out on your own adventure. Find them at 73-5619 Kauhola St. in Kona. Visit cyclekona.com and konabikerentals.com for more information. Or, maybe you want another way to explore the island on two wheels? Visitors can see coffee plantations, local beaches and island roads on a moped too. SCOOTER BROTHERS MOPED AND SCOOTER RENTALS provide moped and scooter rentals for thrill seekers looking to cruise the open road with the sun on their face and wind in their hair. Think of the island as circular in shape with a few zigzagging connector roads. There are TWO KEY HIGHWAYS (11 and 19), and SADDLE ROAD (Highway 200) provides the shortest route from Kailua-Kona to Hilo. 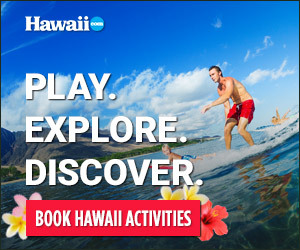 Hawai‘i Island offers great DAY TRIPS. You’ll find the roadways marked and signage easy to follow. KILAUEA VOLCANO is a must-see and a unique drive, one where you can see snow on MAUNA KEA and experience 90-degree temperatures on CHAIN OF CRATERS road all on the same day! PARKER RANCH is a great step back in time and a nice cruise up the coast. ALI‘I DRIVE, in Kailua-Kona, is the best place to cruise at night.